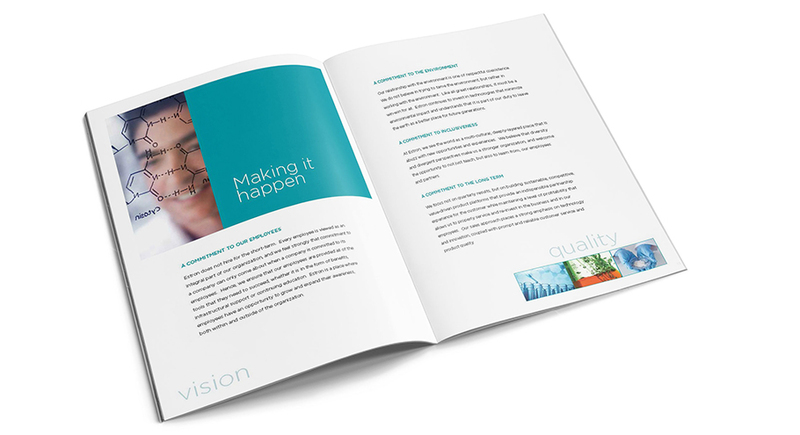 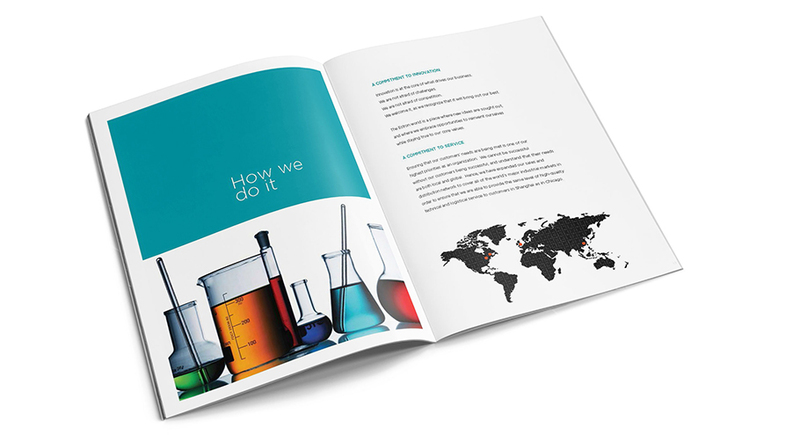 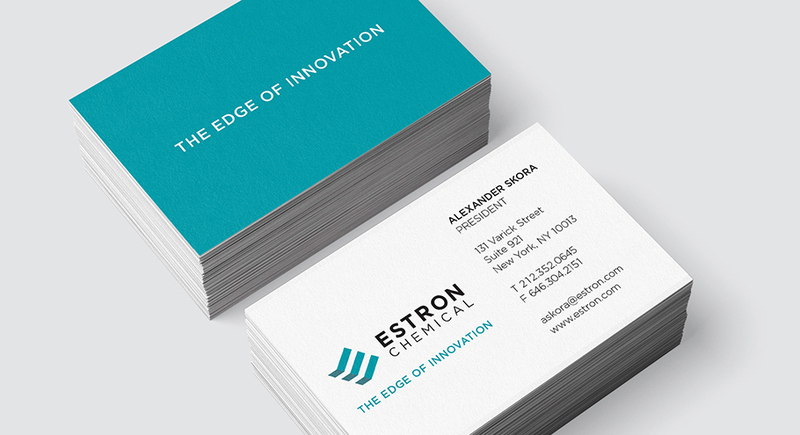 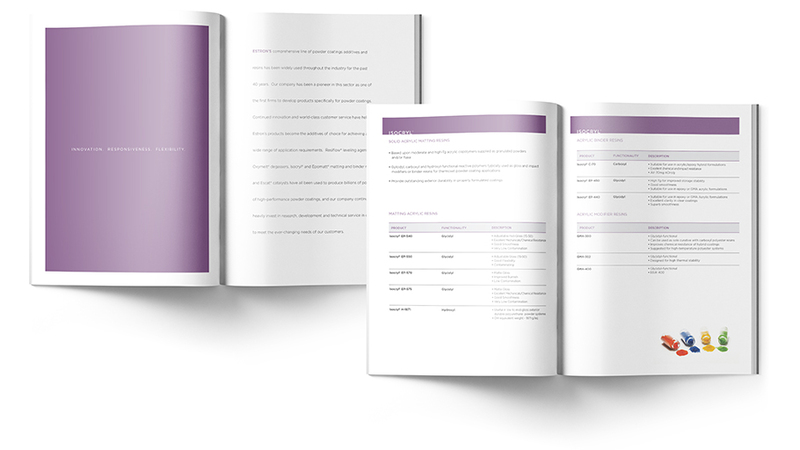 Brand identity, print collateral and signage for a manufacturer of chemicals. 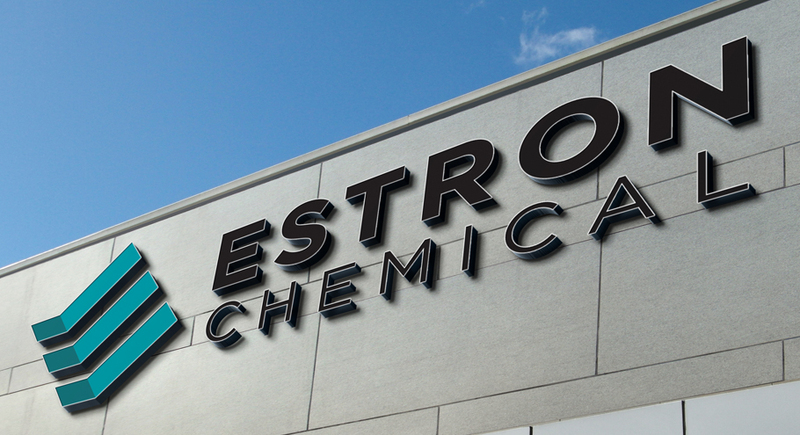 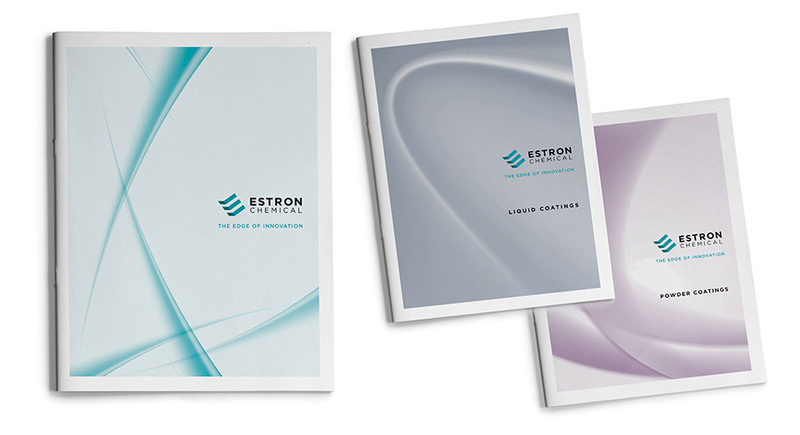 Estron, a innovative high-tech chemical additives manufacturer founded in 1976 and based in Kentucky, wanted our expertise to broadcast its growing global presence and distinguish the company from its competition. 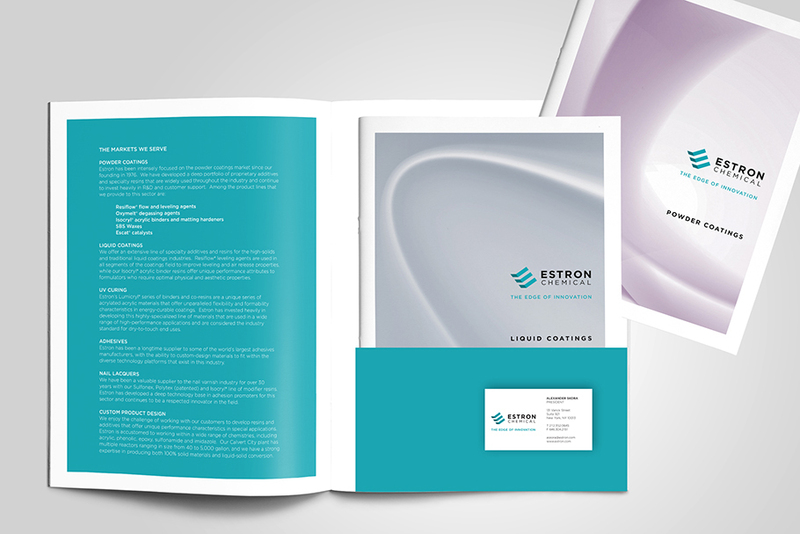 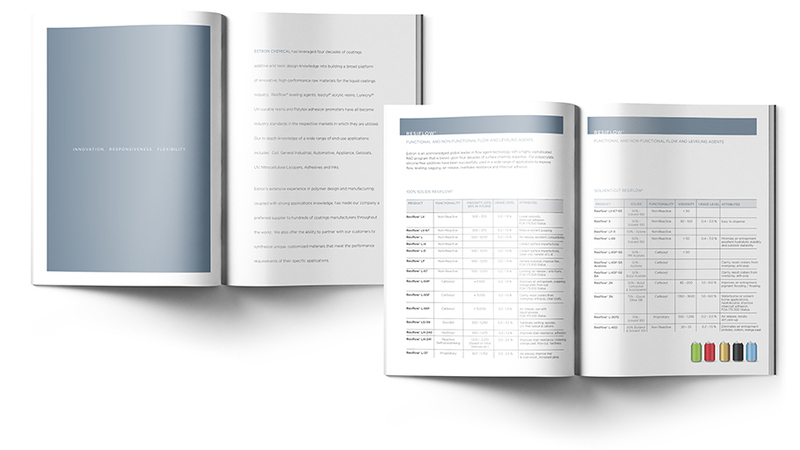 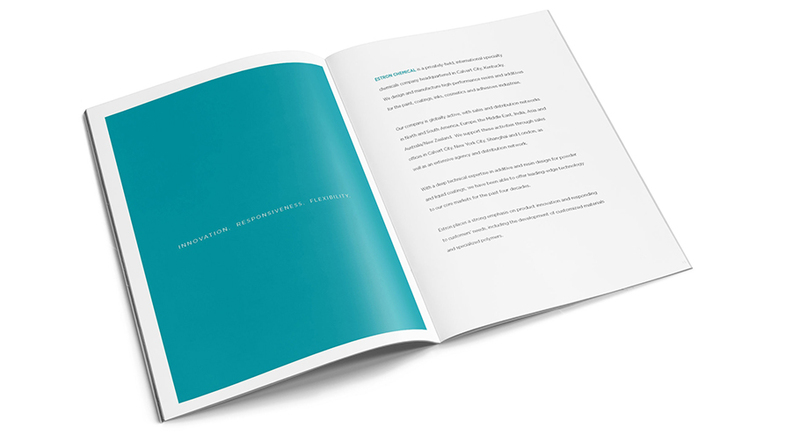 We created a new identity and printed marketing collateral that is clean and contemporary and clearly communicates the range and technical specifications of their product line to its science-savvy client-base and conveys the company’s history of expertise, quality and innovation.